Built in 1717. SUITES - Queen Bed, kitchen, private bath, and private entrance to the back yard and park. ROOMS - have 1 or 2 Beds, private bath, and some have private entrance to the back yard and park. First floor accommodations. 3 Rooms with private and shared baths. Fireplace in breakfast room; historic district. Children welcome; no smoking or pets. Air conditioning. Separate guest quarters. Featured in Better Homes & Gardens and Colonial Home. 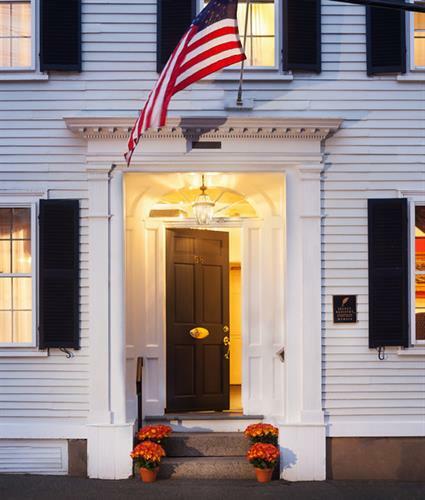 Marblehead's 4-star Inn located in the heart of the historic district. Jacuzzis, outside pool, A/C, fireplaces, conference room, family suites available. No pets. 2 Rooms, private baths, twins; king, balcony, TV. Escape to a luxurious home for peace, quiet and solitude; a special warming place. Next to beach. Wonderful ocean views. Healthful breakfast in greenhouse. Great parking, no smoking. An adult B & B. Spacious suites on a quiet country acre. Walk to beach and town. Perfect for business and romantic getaways. First floor suite with deck and fireplace. TV, A/C, phone, refrigerator. Continental plus breakfast. Wireless Internet. Children over 12 welcome. Boutique Inn offering Queen and King rooms as well as Suites all with private baths. All rooms have cable TV, A/C, free Wifi and complimentary Continental Breakfast. 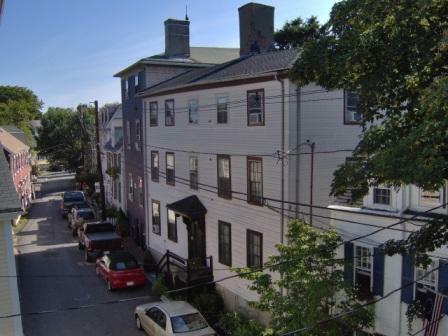 Close to the beaches, harbor, and shops of Marblehead. Children welcome 12 yrs and older. No smoking or pets. 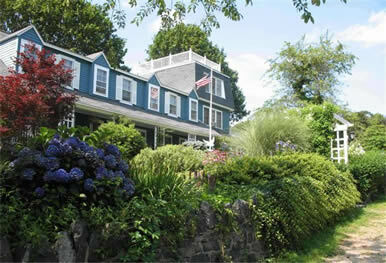 Located on beautiful Marblehead Neck. Comfortable and private guest suites. Enjoy ocean views from porch, deck and most rooms. Kitchenette and beautiful gardens. Kayaks, bikes and beach available free for guests. All rooms have private baths, TV/VCR, phone and refrigerator. Our “Room-with-a-view”(harbor views) is on the third floor of our 18th Century home. The suite includes a full bath and an adjoining room with a daybed, suitable for a small child. Small pets are welcome. = No vacancy. -- = Data not provided. Notice: Availability data is reasonably current but is not 'real-time' and may lag actual bookings. Please note that not all Marblehead Chamber of Commerce businesses advertise on this web site. If you need further assistance, please contact the Marblehead Chamber of Commerce's Information Booth, Monday - Friday 1pm - 5pm, Weekends 10am - 6pm at 781-639-8469, or call the Marblehead Chamber of Commerce office at 781-631-2868.